This apartment is a nice spacious three-bedroom apartment on the top floor of a recently renovated building. It is best suited for a family of six but can sleep seven or a small group of friends. This luxurious apartment with a modern touch is entirely furbished with high quality furniture by the leading Scandinavian gallery, Jacksons design. The penthouse apartment consists of an open-plan living / kitchen area. 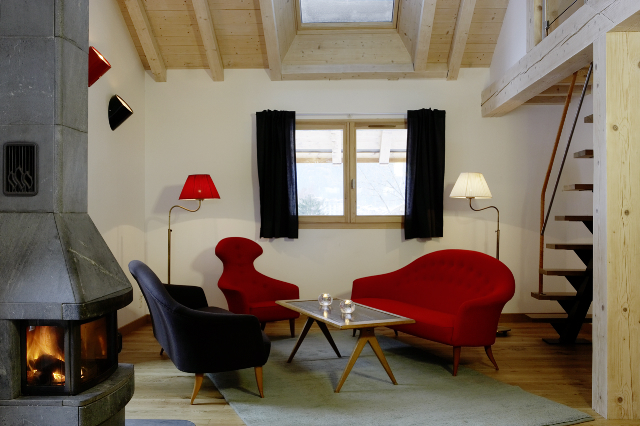 The living room has two comfortable sofas and two armchairs giving you the opportunity to relax and enjoy the wood-burning stove after a long day in the mountains. There is a 42inch flat screen TV, DVD. There is dining of up to eight people. The apartment has three bedrooms. One convertible double/twin bedroom with a shared en-suite shower room. One twin bedroom. On the mezzanine level there is a convertible master double/twin bedroom with an en-suite bathroom. 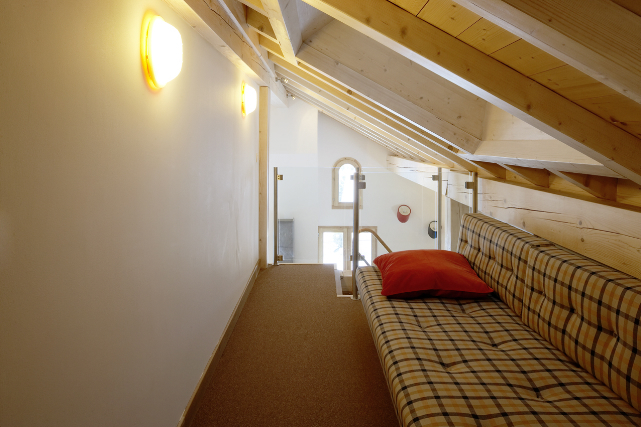 An optional extra single bed can be made in an open area on the mezzanine level. The fully-equipped kitchen includes a fridge, induction hob, oven and dishwasher.